In Duisburg, at Tentorium, the world will stop and will sound real trance with an amazing lineup that can’t disappoint. That Saturday will be trance, Trance, TRANCE, so you better don’t miss it. Also there will be even a deephouse/techno room where Luke Navarro and Jaade I can bet will set it on fire for all the fans. Let’s take a look at who will perform 1st so we know exactly with who we’re dealing with. For over two decades Alex M.O.R.P.H. produced and spread the trance music all over the world with style, with heart and with an unique style widely known and loved, the M.O.R.P.H. sound, a phenomenon that grabs the audience time and again, and the constant drive to reinvent himself is a mere reflection of his ability to stay ahead of the game. 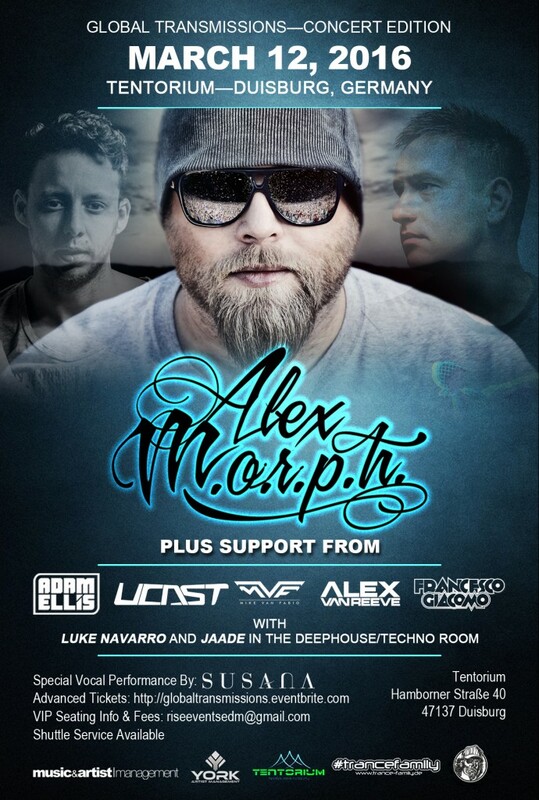 Get prepared for a massive journey through sound with legendary DJ and Trance Producer Alex M.O.R.P.H. . For well over 15 years Alex M.O.R.P.H. (A German Native) has set the standard for progressive and trance music throughout the civilized world. His sets have been described as “legendary” by world famous trance producers such as Armin Van Buuren, and he has played in front of some of the biggest crowds in the world ranging from New York City’s Madison Square Garden to Ushuaia Ibiza (Voted the No. 1 Nightclub in the World). 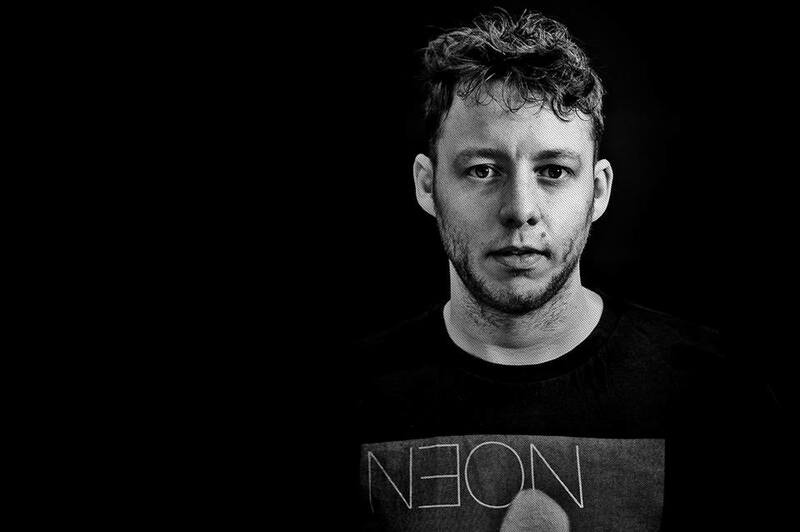 With Alex having embarked on some very exciting adventures in 2015, like kicking off the Universal Nation radio show, it’s going to be one hell of a year for electronic dance music in 2016, including the launch of his own label “Universal Nation” and the release of his third artist album in the summer. Bringing the scene some extraordinary and daring originals and collabs, while rocking the stage, Alex M.O.R.P.H. lets the music speak for itself. You’re more than welcome to follow him on his trail, as he heads out for musical synergy. Experience the M.O.R.P.H. sound for yourself, and see why this amazing talent has truly become legendary! 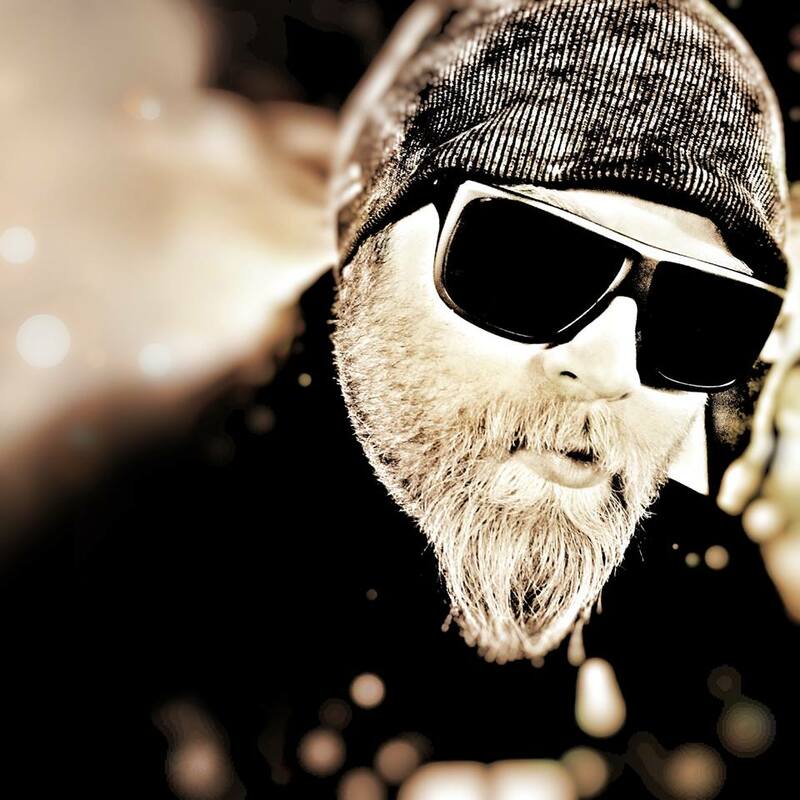 Adam Ellis has just about remixed every major trance producer out there, and has become quite known for his uplifting trance styles throughout the globe. 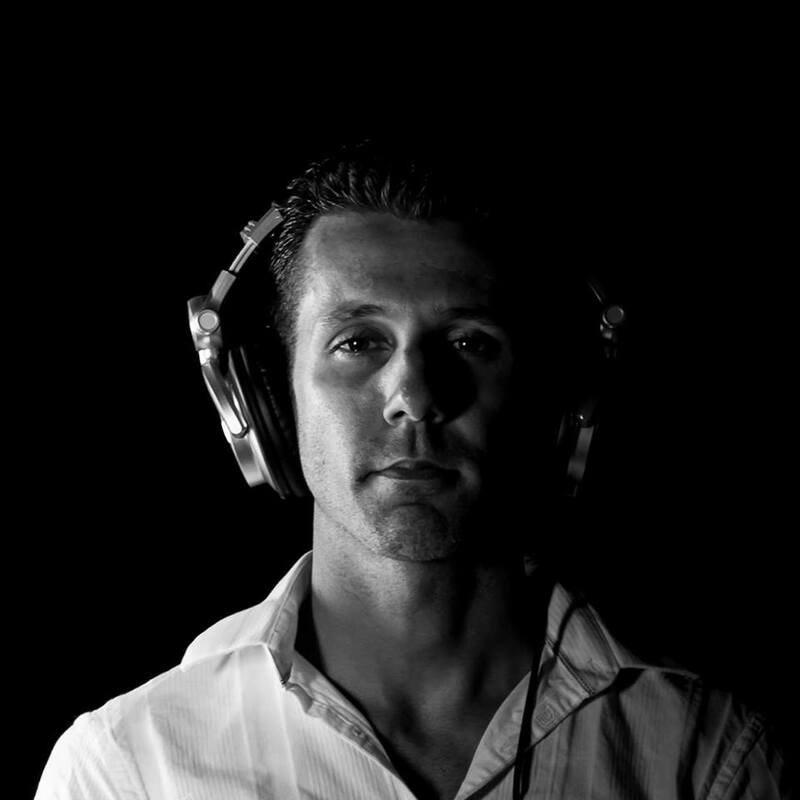 As a DJ, Adam intense vigor for the vintage sounds of Uplifting and Tech Trance has culminated into a stunning array of music that extends from iconic classics from artists such as Giuseppe Ottaviani and Aly & Fila to the latest in cutting edge Trance sounds. Fueled with fire and power, his relentless display of mighty melodies and spellbinding breakdowns have brought about amazing reception for his fans, and has allotted him certain opportunities to play at some of the world’s biggest clubs, including his recent debut at Cream, Amnesia in Ibiza, which is considered one of the biggest arenas for Trance in the world. Now you’ll have it here, in Duisburg, in live performance! 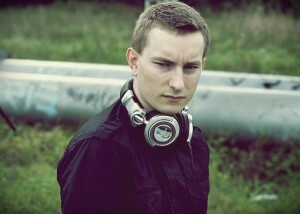 UCast is the most successful trance DJ and producer in Belarus. His productions got a huge support from the best DJs of the world. UCast is the first Belarusian musician, whose track was awarded as “The Tune Of The Week” in the radioshow A State Of Trance hosted by the best DJ of the planet Armin van Buuren. 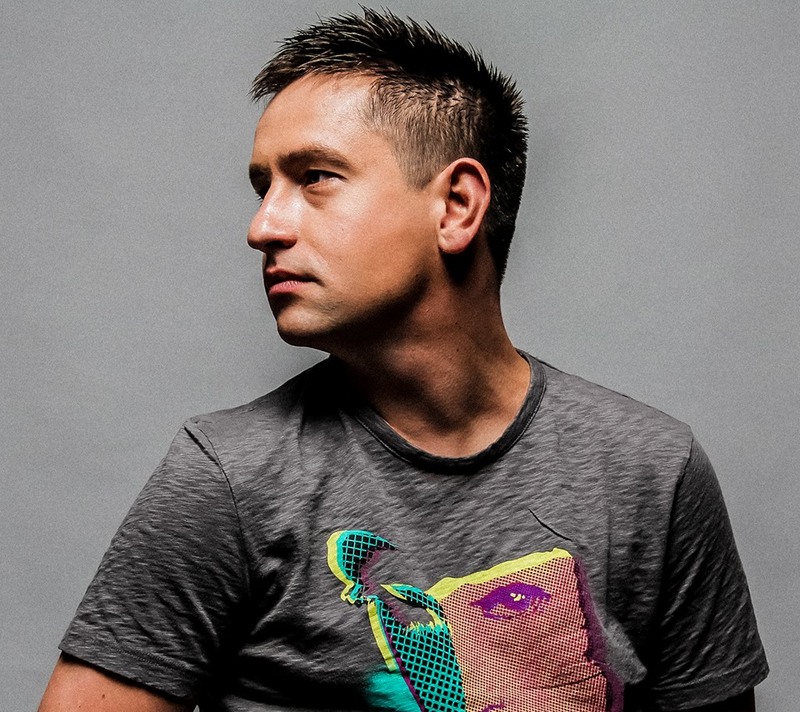 UCast has worked with legends such as Susana, a legendary trance vocalist within the trance community, and he has graced the decks of some of the hottest events in the world such as Godskitchen. An artist that one will appreciate to see and hear. Catch UCast live! Next they have the double duo Mike van Fabio and Alex van ReeVe. Two Polish Producers which have had their names and productions regularly mentioned on Armin Van Buuren‘s radio show—”A State of Trance.” These two guys receive track support from just about every major trance producer in the world, and have won the support of the trance fans from around the globe. A young duo which has become known for their epic trance productions. See why this duo has been named “ones to watch” by various EDM Magazines. As Dj, lastly they have DJ/Producer Francesco Giacomo, a humbled vet of the scene that has reinvented his career, and is now a rising star within the EDM world. His radio show entitled: “GiacomoBEATS Global Radio Broadcast,” is syndicated in five different countries, and his first release, “Lost Emotions” received support from DJS throughout the world. His dedication to both the fans and the music, have earned him a reputation within the Electronic Dance Music Community. 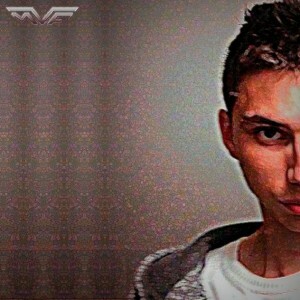 His sets have been called cutting edge, and his unique sound has been described as “Super”. His motto “Creating Massive Atmosphere through Music,” has become quite evident when one hears this artist play and work the decks. After presenting the Djs LineUp let’s take a look at Special Guests as vocalists, two voices that gives goosebumps always when they sing. A voice that don’t need introduction, a name already well known in the industry, ladies and gentlemen here she is, Susana! With a long career, starting already at 15 years old with an alternative/rock band and getting into EDM already in 2003, Susana became one of the main voices in trance stage. Every year got Susana involved in many projects, festivals,radio shows and live performances and neither one was the same. 2016 look already good for her and she’ll be for you in Duisburg to give you an enchanted night! Katty Heath is a vocalist who has collaborated with a diverse range of artists. 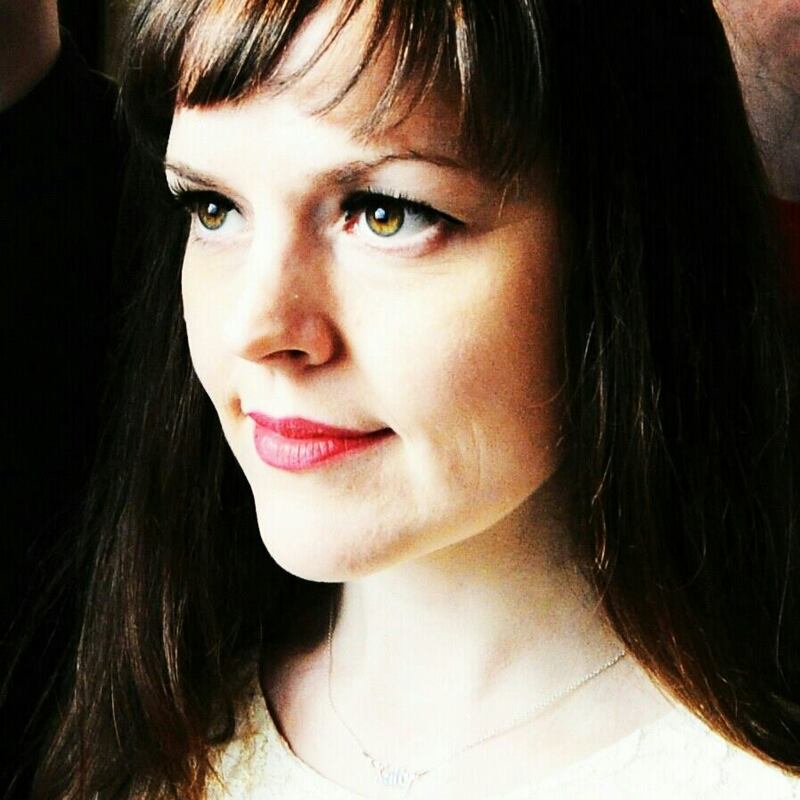 Between 2001-2009 she performed internationally with UK Electronica duo ‘Bent’ and is a prominent feature on their third album ‘Ariels'(Ministry of Sound) Her song ‘As You Fall’ is popular with remixes by Kyau & Albert, Guy J and Micah Lukasewich. 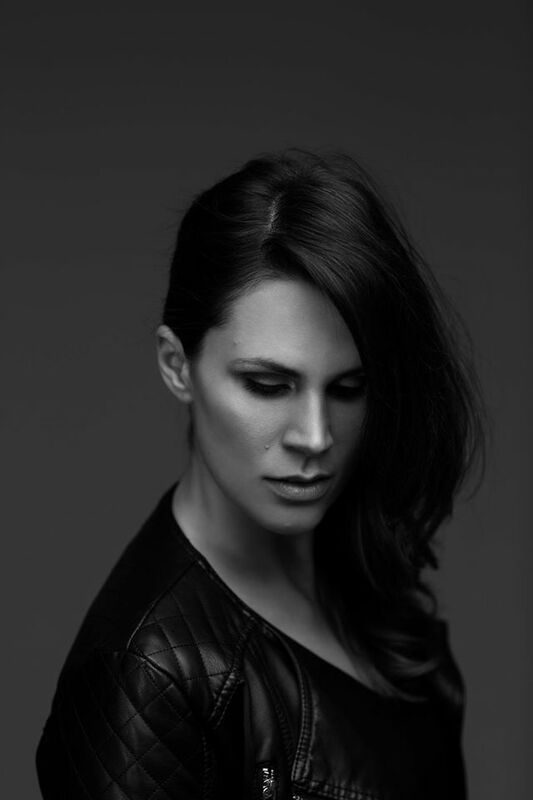 Currently based in Amsterdam, Katty continues to collaborate with producers from across the globe with support from DJs such as Armin Van Buuren, Aly & Fila and Paul Oakenfold. ‘Stole The Sun’ is included in Armin Van Buuren‘s 2014 Top 20 (Armada Records). Hope this long presentation made you book already your flight and to get your tickets ASAP! We’ll be there, we’ll broadcast it live around the world to bring this magic night in everyone’s ears&eyes, to make you fly, to make your night. We’ll broadcast audio & video in collab with Dj Channel TV, the other half of Trance-Energy Radio.